Thanks to its history, tea is recognised as one of the world’s most refined and elegant beverages. Once the mainstay of the aristocracy, it has gradually become enjoyed by people the world over. It is now enjoyed across the globe, drunk from morning to night. The way in which it is taken, however, varies according to local customs.Tea is drunk variously piping hot or ice cold, with or without milk, sweet or bitter, strong or weak, from a small bowl or a china cup. So let’s talk tea. 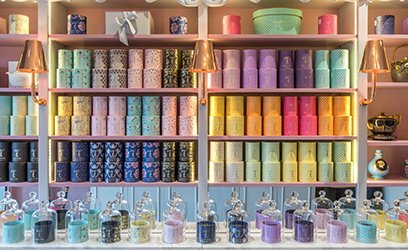 At Ladurée you naturally find the classics – Earl Grey, lapsang souchong and Darjeeling – but there are also exclusive blends created especially for the company. 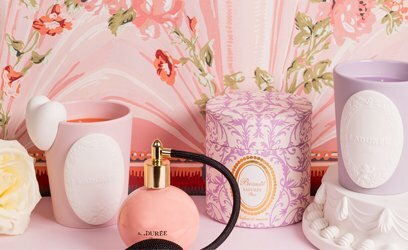 Perfumed teas with instantly iconic tastes you will find nowhere else; teas such as the Ladurée blend, which has been seducing customers for 15 years with its notes of orange, blackcurrant, cinnamon, vanilla and bergamot. Or the Marie-Antoinette, which has been the best-selling tea in the tearooms for the past four years. 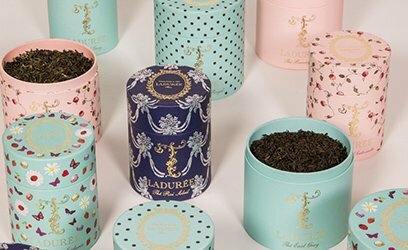 Ladurée’s tea collection has been developed by leading experts in the field. 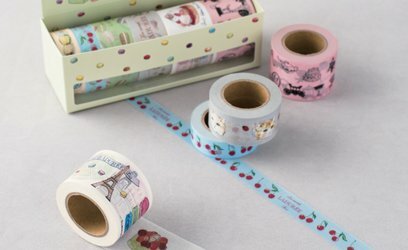 Created exclusively for Ladurée, our unique flavours are popular with our customers throughout the world. In recognition of this popularity and to promote our teas to the widest possible audience, we have decided to create a unique, dedicated brand. The collection is divided into four categories: special creations, classics, gourmet varieties and infusions. 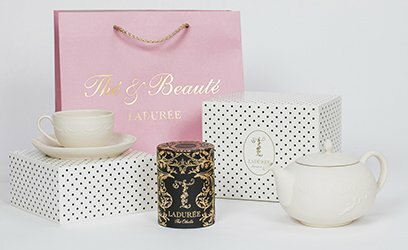 In keeping with the Ladurée tradition and in line with our core values of beauty and quality, particular emphasis has been placed on the presentation boxes for this collection.